The Federal Reserve left interest rates unchanged Wednesday as was widely expected. While forecasting slower growth, officials said they expected not to hike rates this year. The central bank also said it expected to end its runoff process in late September. 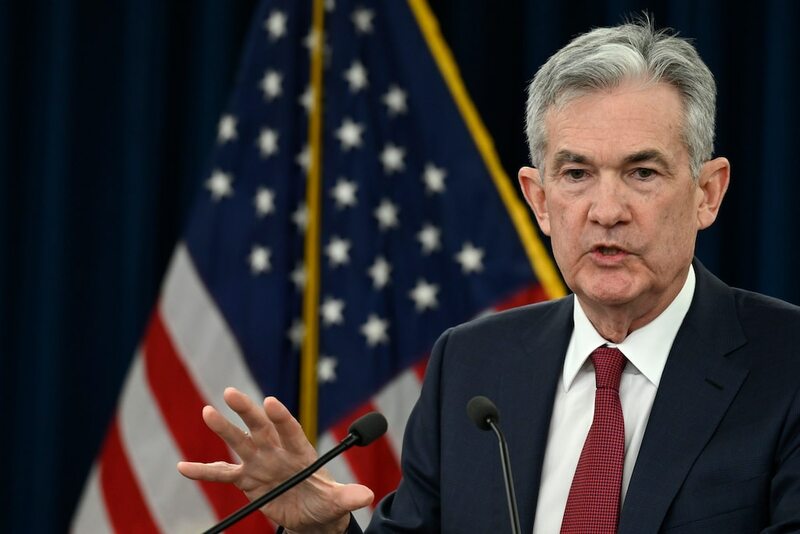 The Federal Reserve left interest rates unchanged Wednesday as was widely expected and signaled that it would most likely be a while before another increase. At the end of a two-day policy meeting, the central bank dimmed its economic outlook and said it did not expect to raise interest rates this year. Officials now predict that the US economy will expand by 2.1% in 2019, compared with previous expectations for 2.3% growth. That’s far below estimates from the White House but in line with the consensus. A string of softer-than-expected data releases in recent months has added to expectations for a slowdown domestically and abroad. “In light of global economic and financial developments and muted inflation pressures, the Committee will be patient as it determines what future adjustments to the target range for the federal funds rate may be appropriate to support these outcomes,” the central bank said in a statement. The 12-member Federal Open Market Committee most recently voted to increase its benchmark interest rate by a quarter percentage point, raising it to a target range between 2.25% and 2.5% at the end of 2018. Still, the Fed said it expected “sustained expansion” and penciled in one rate increase in 2020. There have been signs of upward pressure on US wages, with average hourly earnings jumping in February by the most in a decade. The Fed on Wednesday also offered details on plans to hold a larger balance sheet than previously expected, saying it expected to end its runoff process in late September. In 2017, the central bank began reducing the $4 trillion portfolio of US Treasury debt and other assets it acquired following the financial crisis. “It’s even more telling that they’re beginning to pull this additional lever as well, which establishes a decidedly accommodative stance for the Fed,” Mike Loewengart, the chief investment strategist at E-Trade, said.